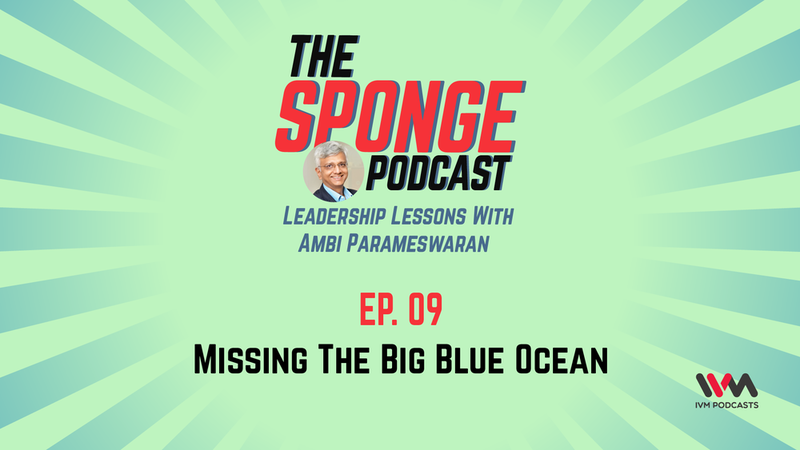 In this episode of The Sponge Podcast, Ambi Parameswaran talks about how the ability to accept mistakes and move forward through a show of humility and social intelligence sets great leaders apart. Ep. 11: Sorry. Please Leave! In this episode of The Sponge Podcast, Ambi Parameswaran talks about Why it's crucial to turn down incompatible clients. He further talks about, How voicing 'No' early on, reduces the chances of damaging a company. Who decides what is classy or massy? Is a Creative Ad better than a Strategic Ad? What makes for a great client and agency relationship? How does one not get caught in intra-company cross fires? 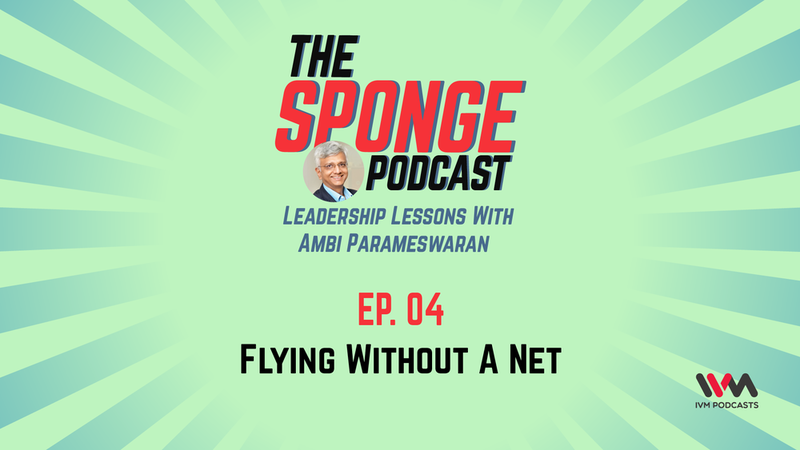 Find all these answers in this episode of The Sponge Podcast, where Ambi Parameswaran talks about numerous business lessons he learnt over his many years of experience. In this episode of The Sponge Podcast, Ambi Parameswaran speaks of a time when his agency had been assigned a Globally renowned client. He further sheds light on how an agency should build arguments and try harder to communicate more effectively. In this episode of The Sponge Podcast, Ambi Parameswaran recounts his pleasant experience at a meeting with the Income Tax Department, where he was invited to present Tax collection/Communication strategies to the highest direct taxation body of the country. In this episode of The Sponge Podcast, Ambi Parameswaran sketches out why it is consequential to set realistic goals and then slowly elevate them. He further talks about why leaders and organizations should set smart goals rather than impractical targets. Ep. 06: Who Reads Body Copy? In this episode of The Sponge Podcast, Ambi Parameswaran talks about the 'Head' and 'Body' of marketing. Find out how each of them are significant in the world of advertising. Ep. 05: Doing Good. Fairly. 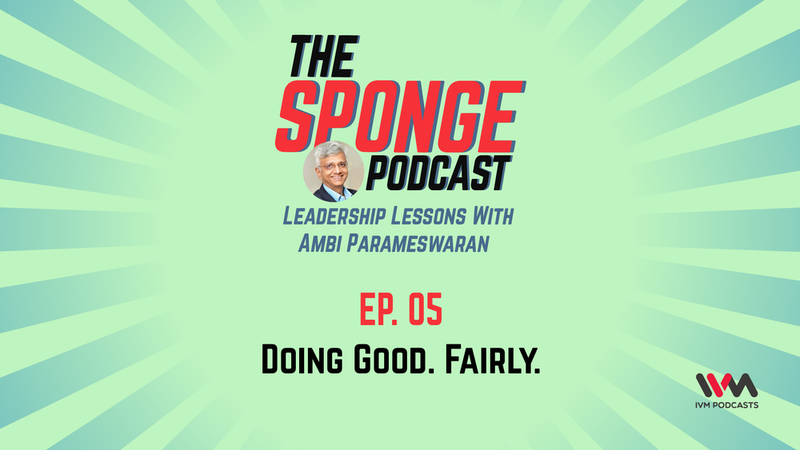 In this episode of The Sponge Podcast Ambi Parameswaran and Amit Doshi discuss what 'doing good. Fairly.' means in the most literal sense in the corporate world. They further chat about how wages are constant yet inconsistent in the collaborative joints. From pharmaceutical companies to car manufacturing companies, Ambi Parmeswaran teaches us on how agencies innovate and create enthralling ways that help the clients take bolder risks and fly without a net. In this episode of The Sponge Podcast, Ambi Parmeswaran throws light on how the stringent and well structured processes of armies like 'After Action Reports', 'Discipline', 'Task Management',etc helped him streamline his processes and tells us why it should be entailed into the corporate world. What are the different kind of clients? How do you categorize your client into different archetypes? Is there an IIM Calcutta mafia in the brand business? Do you have what it takes to serve a customer? Ambi Parameswaran addresses all this and more in this week's episode. Ambi Parameswaran recounts his encounter with Mr. Ratan Tata during the launch of the car Indigo Marina, the valuable leadership lessons he soaked in from Mr. Tata and how he applied these lessons in his own life. 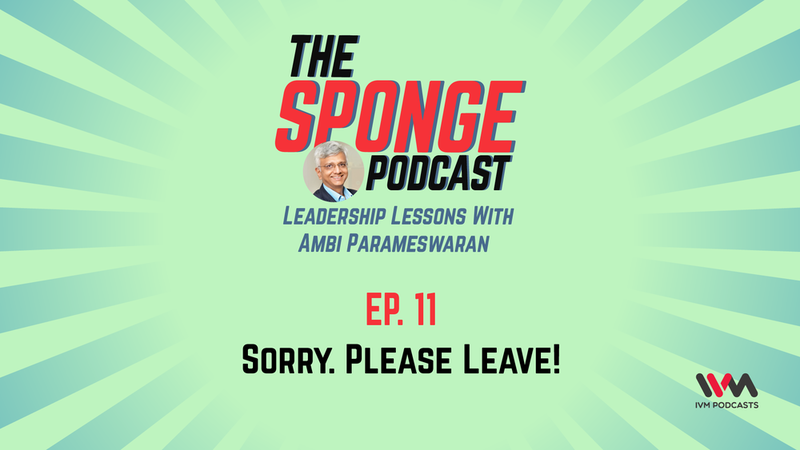 Welcome to The Sponge Podcast - Leadership Lessons with Author and Veteran Adman with 40 years of experience in advertising - Ambi Parmeshwaran. Host Amit Doshi sits down with Ambi as he shares some of the best advice he’s gotten over the years from reading, asking questions, observing, and acting more like a sponge. The Sponge Podcast brings you empowering insights from some of the most iconic business leaders like Ratan Tata, Azim Premji, S. Ramadorai, Dr. V. Kurien, Karsanbhai Patel and many others. Episodes out every Monday, starting 4th Feb 2019.